Bring the spirit of Christmas into your home with these nesting Santa dolls. 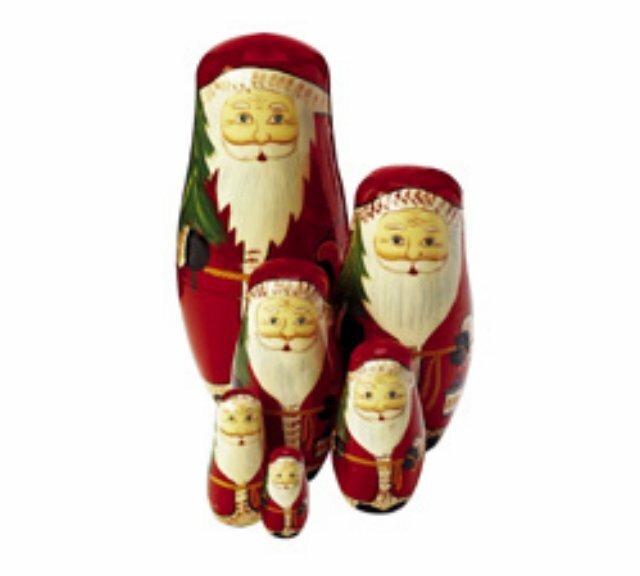 Six festive hand-painted Santa dolls fit inside each other to form this collectable set. Add them to your holiday display or hide tiny gifts from "santa" inside them. Biggest doll measures 5 1/2" tall.